A New Hope: China's Rover May Still Be Alive! The Chinese space agency (China National Space Administration) has just announced on its Facebook page, that there is hope yet that its rover is still functional. The reversal of fortune comes two weeks after reports that little Yutu had only lasted a month. Official news: Yutu is still alive! Mission control is busy working on it. Please give them more time. 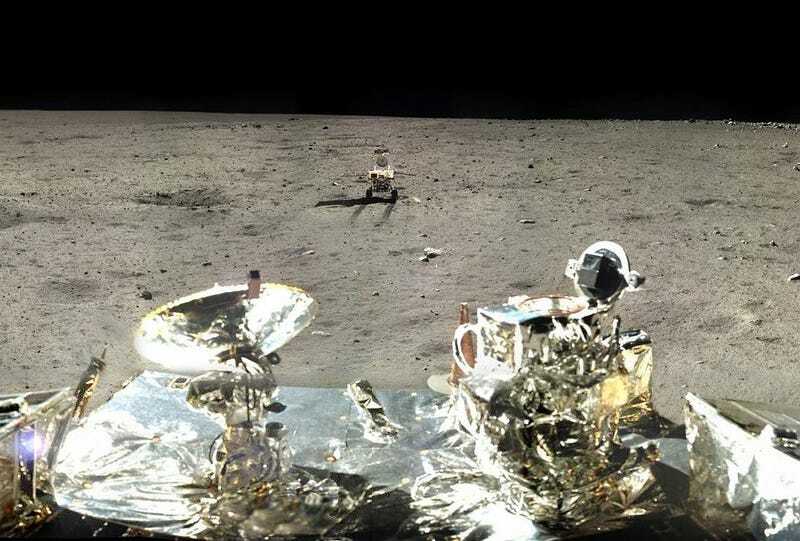 Earlier today a brief news dispatch was published by China Daily, which reported that Jade Rabbit has been permanently lost, after in late January, China's maiden lunar rover experienced a "mechanical control abnormality." But the latest edict is an encouraging sign that Yutu might still be kicking. Fingers crossed; at this point, any tiny piece of good news is welcome.